For years, the candidate for Kansas governor has defended towns that passed anti-immigration ordinances. The towns have lost big — but Kobach has fared considerably better. This story was co-published with the Kansas City Star. Kris Kobach likes to tout his work for Valley Park, Missouri. He has boasted on cable TV about crafting and defending the town’s hardline anti-immigration ordinance. He discussed his “victory” there at length on his old radio show. He still lists it on his resume. But “victory” isn’t the word most Valley Park residents would use to describe the results of Kobach’s work. With his help, the town of 7,000 passed an ordinance in 2006 that punished employers for hiring illegal immigrants and landlords for renting to them. But after two years of litigation and nearly $300,000 in expenses, the ordinance was largely gutted. Now, it is illegal only to “knowingly” hire illegal immigrants there — something that was already illegal under federal law. The town’s attorney can’t recall a single case brought under the ordinance. Kobach rode the attention the cases generated to political prominence, first as Kansas secretary of state, and now as a candidate for governor in the Republican primary on Aug. 7. He also earned more than $800,000 for his immigration work, paid by both towns and an advocacy group, over 13 years. Kobach’s recent legal struggles have been widely reported. In June, a federal judge handed him a sweeping courtroom defeat, overturning a Kansas law that required proof of citizenship to register to vote. The judge went so far as to order him to attend six hours of continuing legal education after he repeatedly botched basic courtroom procedure. 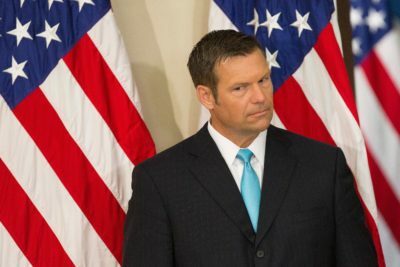 Another recent Kobach endeavor, a federal commission aimed at combating voter fraud, which he co-chaired, shut down after a bevy of lawsuits challenged it. But Kobach’s failures in the courtroom date back far longer. An investigation by ProPublica and the Kansas City Star shows that the towns Kobach represented — small, largely white municipalities overwhelmed by real or perceived demographic shifts — were swayed by Kobach’s message: An ordinance would solve their problem and could be easily defended in court. Based on public records requests, filed in June with the towns that Kobach represented, this article for the first time details the costs to municipalities and the payments to Kobach for his lengthy local legal campaigns. In Hazleton, Valley Park’s results were cited as a reason for optimism. Both Kobach and Lou Barletta — then mayor of Hazleton and now the area’s congressman — used the town as a reason to press on with their costly litigation. “Valley Park has a similar ordinance that was modeled after ours,” Barletta told a local reporter at the time. “They were also sued. They went to federal court and won.” Neither he nor Kobach mentioned in the interview that Valley Park’s ordinance, ultimately, looked very little like Hazleton’s. Albertville, Ala. chose to do a bit of homework on Kobach, and it paid off. When Kobach arrived in the town in March 2010, he painted a bleak picture of its future: He said he’d been all over the country helping towns that were suffering from an influx of illegal immigrants. Albertville, he continued, was more afflicted than any he’d seen. He predicted it would collapse under the weight of the influx. Kobach said he could help them. As he’d done in Valley Park, Kobach said, he would write an ordinance that would force the illegal immigrants to leave. “There are certain things that cities can do to deal with the burden that illegal immigration imposes on the taxpayers,” Kobach told municipal officials at a public meeting, a local paper reported. He dismissed concerns over potential legal challenges and their high costs. The American Civil Liberties Union, he said, had a track record of losing cases like these. Albertville’s government was poised to hire Kobach until a city councilmember made a call to Valley Park. After hearing first-hand about the town’s experience, Albertville’s city council voted against bringing him on. “The advice I have gotten from towns which passed similar resolutions said they would not do it again,” councilman Randy Amos said after the vote. In 2006, Hazleton’s then-mayor, Barletta (now a candidate for U.S. Senate) proclaimed that his town was facing a crisis. Hispanic residents had ballooned from 5 percent of the population in 2000 to 30 percent in 2006, and the town’s employees were struggling to serve a Spanish-speaking community. Scouring the internet for a solution, Barletta happened on a failed city ordinance in San Bernardino, Calif. 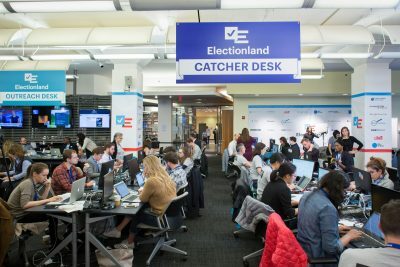 He largely copied it and proposed a law that would require employers to verify the citizenship of all employees and for landlords to do the same for renters. It also made English the official language of the town. National media flocked, and in one of the articles Barletta read, he saw the name of Kobach, whom he had never heard of. “It was in USA Today,” Barletta said in a recent interview. “I think he said something like, ‘The law is on their side.’ That was really the first time that I heard anybody say that I could actually do what I was doing.” He brought on Kobach to refine the Hazleton ordinance and defend it in court. This would turn out to be a break for Kobach, who was then a law professor at the University of Missouri-Kansas City. At that point he was a little-known anti-immigration crusader whose modest press coverage had come largely during a failed congressional bid in 2004. Kobach’s profile began to rise with the headlines sparked by the ordinances. Other municipalities called upon his expertise after seeing his name associated with Hazleton. He was even brought in to help Arizona craft SB 1070, the “show me your papers” law, which passed in 2010 before being largely overturned by the Supreme Court. He consulted with Sheriff Joe Arpaio in Maricopa County, Ariz., on best practices for enforcing the law. Kobach became a regular presence on conservative TV and talk radio, and in 2010, he bundled all of this into his first successful run for statewide office, as Kansas’ secretary of state. Two years later, while simultaneously defending cities and serving as an elected official, Kobach assumed his most prominent role yet: immigration adviser to presidential candidate Mitt Romney. His main contribution was the notion that immigrants should “self-deport.” The idea was so widely panned that the Romney campaign distanced itself, labeling Kobach a supporter, not an adviser. See the new legislation and legal cases in your state that have the potential to change how you vote this November. But the election of Donald Trump gave traction to Kobach’s immigration ideas and he quickly became a favored expert, advising the White House on illegal immigration, non-citizen voter registration and the 2020 Census. Kobach was also paid by the Immigration Reform Law Institute and the Federation for American Immigration Reform, two arms of the same organization, from 2005 to 2018. Federal forms show the organization paid Kobach a total of just over $125,000 in 2005 and 2007. Such organizations are not required to disclose annual payments of $50,000 or less, suggesting he received smaller amounts in other years. Kansas law requires elected officials to disclose their business interests, but not the total dollar amounts they’ve earned. In 2014, when Kobach ran for reelection as secretary of state, both his Democratic and Republican challengers needled him about his outside consulting and attorney gigs, arguing the state deserved a full-time secretary of state for the $86,000-a-year salary he is paid. Around that time, Kobach’s disclosure forms began showing fewer and fewer clients. The form filed in the spring of 2014, at the height of the campaign, listed only Fremont, though other records show he was paid more than $40,000 by the city of Hazleton and more than $12,000 by Farmers Branch. The next year, he again disclosed only Fremont, despite being paid $5,500 by Hazleton and $3,650 by Farmers Branch. The forms filed in 2017 and 2018 include none of these clients, though each year he was paid a $10,000 retainer by Fremont. Kansas’ rules do allow the apparent loophole: Attorneys do not have to disclose any clients who pay them through an LLC, according to the Kansas Governmental Ethics Commission. But Carol Williams, who led the agency from 1981 to 2017, said officials have an obligation to disclose money they receive directly from municipalities. Kobach’s municipal clients all paid him personally, with the exception of Hazleton, which directed checks to his LLC. Kobach did not say why he stopped disclosing the payments from Hazleton. Valley Park had hardly any immigrants to speak of at the time Kobach was called in. The town’s Hispanic population had ticked up from 2 percent of the population to around 3 percent in 2006. That amounted to an increase of about 50 people in a town of 7,000. That was enough for the town’s then mayor, Jeff Whitteaker. He took to local media to fulminate about overcrowding. “You got one guy and his wife that settle down here, have a couple kids, and before long you have Cousin Puerto Rico and Taco Whoever moving in,” Whitteaker told the Riverfront Times. He championed an immigration ordinance and advocated hiring Kobach. Valley Park and Hazleton both passed ordinances within days of each other in July 2006. The ACLU had warned both towns that they’d face lawsuits if the ordinances passed, and the organization quickly followed through on the threat. Hazleton lost decisively. The city of fewer than 30,000 people was defeated both at the trial court level and on appeal. Its ordinance never went into effect. Even then, Kobach maintained a serene confidence. By 2013, seven years into the litigation, a privately raised legal defense fund that had paid Hazleton’s bills (including $250,000 for Kobach’s fees) had run dry. The U.S. Supreme Court had declined to hear the city’s case. The ACLU had asked an appeals court to order Hazleton to reimburse it for $2.4 million in attorneys fees. That may have been true to the extent that he was describing his own fees. But a year later, Hazleton was ordered to pay the ACLU $1.4 million to cover its attorneys’ fees. At the time, the town was already $6 million in debt. It was forced to take on additional loans to pay the bills. By the end, in March 2015, Kobach acknowledged that Hazleton was in financial distress. 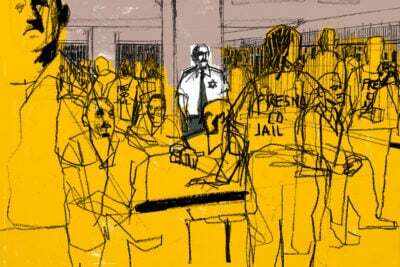 In a court filing, he told the judge the city simply could not afford to pay the ACLU’s fees. “An award of the full amount of fees and costs sought by the Plaintiffs, or even half that amount, in one lump sum would likely be the straw that breaks the camel’s back and drives the city into bankruptcy and Act 47 receivership,” he wrote, mentioning the process in Pennsylvania that allows the state to take over the finances of insolvent towns. The judge rejected the plea. “Municipalities, regardless of their fiscal health, have no discretion to enact improper laws,” he wrote. Hazleton was declared financially distressed in September 2017 by the Pennsylvania Department of Community and Economic Development and entered into a recovery plan with the state. City officials deny that the $1.4 million payment to the ACLU forced their hand, but it was a significant sum for a municipality that in 2017 took in $9.5 million in revenue. 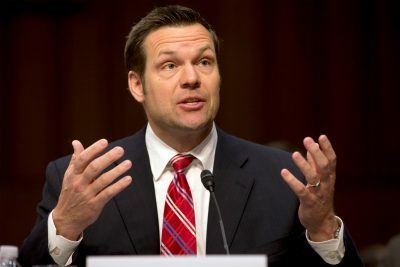 The legal process would have been far shorter and less costly if Kobach hadn’t insisted on rewriting the ordinances during the litigation, said Omar Jadwat, who heads the ACLU’s immigration project. Kobach oversaw two revisions of the law in Hazleton while the suit was pending. In Valley Park, too, Kobach overhauled the ordinance during litigation. The once-broad measure was narrowed to prohibit knowingly hiring illegal immigrants — something that was already banned by federal law. Tim Engelmeyer, who became Valley Park’s city prosecutor in 2006, said he doesn’t remember anyone ever being charged even after the statute was pared back. “I’m not sure if anybody was even cited,” said Engelmeyer, who is now also the city attorney. Kobach says the decision to jettison part of the ordinance was a tactical decision and he claims that the case was a win. “It was a David and Goliath fight, and that’s never pleasant if you’re on the side that doesn’t have as many resources. But we won and it was a great victory for the city of Valley Park,” he said. Kobach said the lack of citations isn’t proof that the fight was fruitless. “Quite the contrary, it means that the ordinance is working because people are complying with it,” he said. Like Hazleton, Farmers Branch also lost in trial court and on appeal. The process took nearly seven years and the city spent almost $7 million. It hired an expensive Dallas-based litigation firm, which then hired Kobach as a contractor, paying him nearly $190,000 — more than $44,000 of it after he became Kansas secretary of state. Its ordinance was never enacted. On the surface, Kobach’s results appear better in Fremont, Neb. The city council there had rejected a similar ordinance in 2008 over fear of litigation. But the idea of an anti-immigration law was revived in 2010 and 57 percent of the town voted it in as a ballot measure. The town banned landlords from renting to anyone in the country illegally and required renters to provide specific information to the police and obtain $5 occupancy licenses. The ordinance also forced city businesses to use a federal database to check the immigration status of all employees. The town hired Kobach to defend the new law, which he’d had a hand in writing. “He was the author … Who better?” said Mayor Scott Getzschman, who had opposed the ordinance as a member of the city council. Fremont won the right to ban undocumented immigrants from rental housing. But shortly after the city’s victory in 2014, officials realized the law was toothless: The rental application wording written by Kobach and approved by the court did not require the necessary information to determine citizenship status. The law remains unenforceable. Fremont continues to retain Kobach in case new litigation arises. He has been paid more than $100,000 so far and, per his contract, will continue to be paid a $10,000 annual retainer. Getzschman says the town will reconsider its agreement if Kobach is elected governor in the fall. Others in town disagreed. 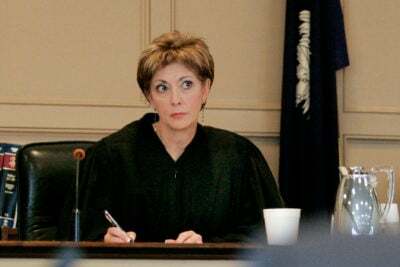 Whitteaker was voted out of office in 2008, a year before the lawsuit was finalized, amid controversy over the city’s spending on this lawsuit. Barletta, Hazleton’s mayor-turned-congressman, said the city was facing a crisis at the time, and though the litigation was ultimately unsuccessful, desperate times called for desperate measures. Tom Gabos, a former Hazleton City Council member, thinks that Kobach and Barletta took advantage of the town’s tenuous position for their own gain. Rocío Romero Benites and Luiz Fernando Toledo contributed to this report. Correction, Sept. 20, 2018: An earlier version of this article incorrectly stated that Fremont, Nebraska, removed a provision of an immigration law that required employers to verify the immigration status of employees. This provision is in effect.